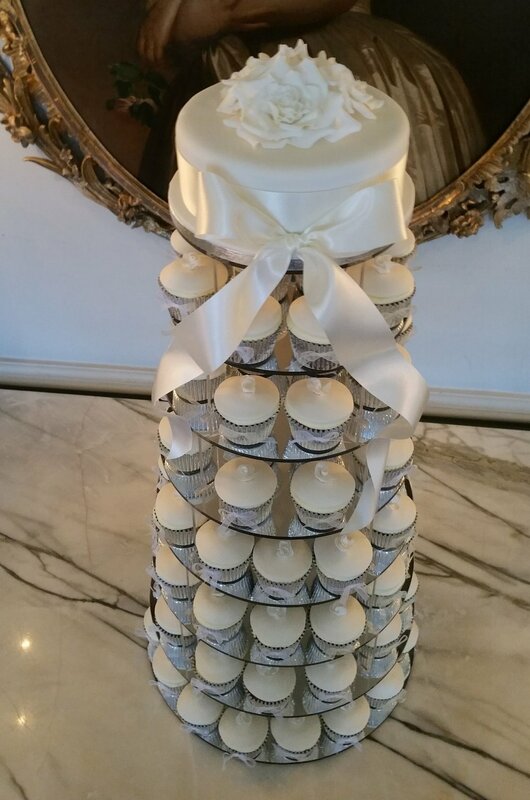 So pretty, this elegant tower of hand made cupcakes and top cake was displayed at Cliveden. Each cake featured a hand made rose and bow. The top cake had a gorgeous arrangement of white sugar roses.